King of Thailand - how many wifes? Quote Reply Topic: King of Thailand - how many wifes? How many wifes can a sovereign of this country have? Im asking in the side of religion and law...? Hmm no idea, he has just one wife to my knowledge though. Hmm well i can offer a Wiki entry on Thailand as a starting place that might point you in the right direction. The hits turned up by google appear very superficial but I didn't dig to deeply. I'm gonna move this thread to the SE Asian Forum so that more people with knowledge of the area see it. As a former resident. A king of Thailand can only have 1 wife. The current king is Bhuminpol, Rama 9. Yul Brynner in the King and I is Mongut, Rama 4. His son was Chulachomklao Rama 5 the last polygomous monarch of Thailand. He had about 30 wives and over a 100 children. 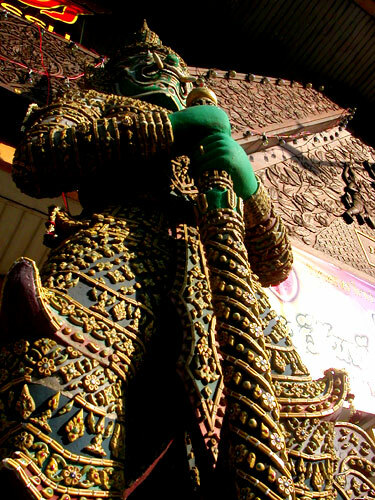 Rama 6 abolished polygamy in the land and was gay and wandered around the palace in dresses. Rama 7 was deposed by the 1932 coup. Rama 8 shot in his bed as a when he was 21 probably by the military. Being a Chinese-esque society monogamy didn't sit too well with Thais, so a system of wive's and minor wive's appeared to replace polygamy, which purpetuates to this day for the very rich. A typical Thai businessman to this day will buy land and a house in the suburbs to raise a family and an apartment in the city. He will set his minor wife up in the apartment and stay with her weekdays on the pretext of not wanting to commute and return to his family on weekends. Older generations of Thai wives accept this as the norm and don't ask too many questions. A side effect of monogamy in Thailand is a smaller royal family. In the past just about anyone there could claim descent from one king or another; the king of Siam was literally "the father of his country." In the 15th century they had to put down the laws of royal succession in writing, to prevent a power struggle every time the king died, and one thing they declared was that if somebody was separated from the current king by more than five generations, he could no longer call himself part of the royal family, and thus was ineligible for the throne. Because the royal family shrank in the twentieth century, Bhumibol Rama IX changed the succession laws so that for the first time, women are allowed to rule, thus making both his sons and daughters legitimate heirs. It will be interesting to see if there's anyone like Queen Elizabeth or Victoria in Thailand's future. all i know is...ok..all great man should have more than one wife.. loll!! It was common practice in the old days for our king to marry more than one wife (each wife was the daughter of a provincial leader); by marrying the provincial governor's leader, allowed the provinces to formally bind with the king and the nation itself as one. It was quite effective and the great kings of the Ayuthaya period as well as the early Rattanoksin period practiced this. However our present king, His Majesty King Bumiphol Adulyadej the Great-RAMA IX only has 1 wife.